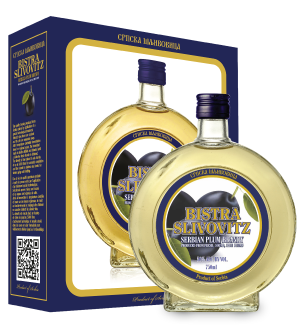 Bistra - Niche Import Co.
Slivovitz is the national drink of Serbia, and plum is the national fruit. 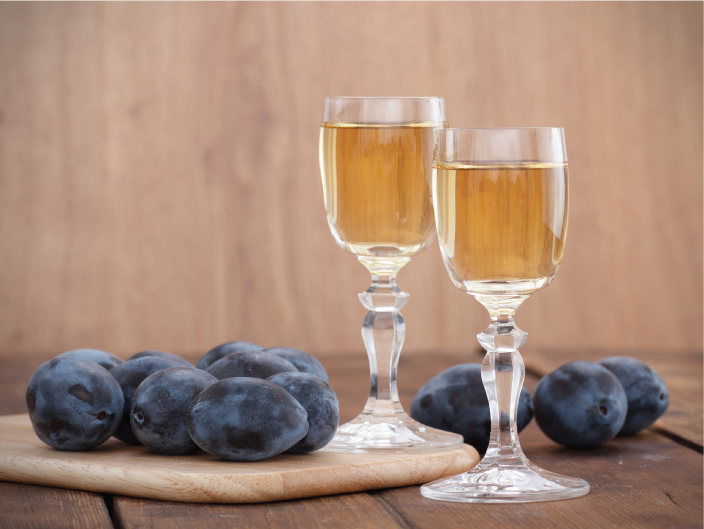 The word "Slivovitz" is derived from Slavic words for plum. A Serbian meal usually starts or ends with plum products. The unique taste of Slivovitz comes from the plum seeds. When pressed, the seeds release amygdalin, which tastes of almonds. When sipped, the brandy's fiery start mellows, leading to a smooth clean finish. 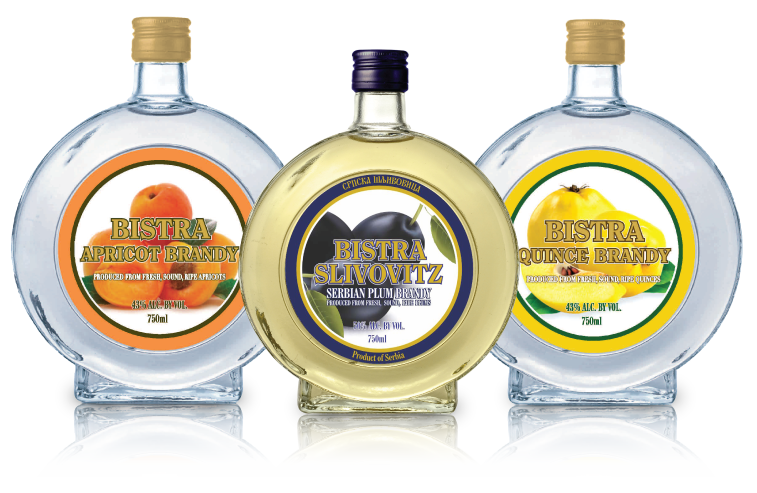 Traditionally, Bistra Slivovitz is sipped neat, just like a cognac or any other fine brandy. It is mature enough to be drinkable with ease, particularly when it is slightly chilled. 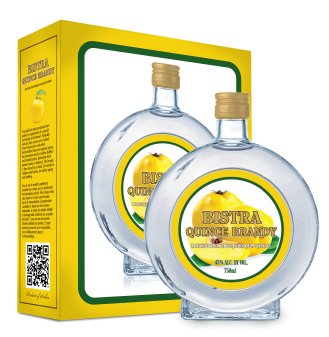 With a rich but smooth flavor, Bistra Quince imparts the experience of chewing fresh fruit. 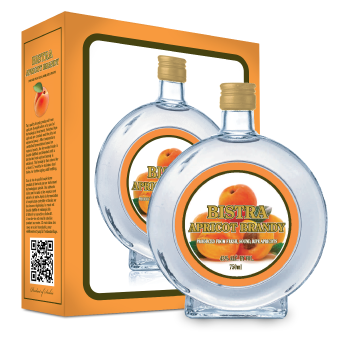 The Bistra Apricot Brandy pairs well with cured meats, fresh fruit, and soft cheeses, and adds finesse with a sprinkle over fruit salads.